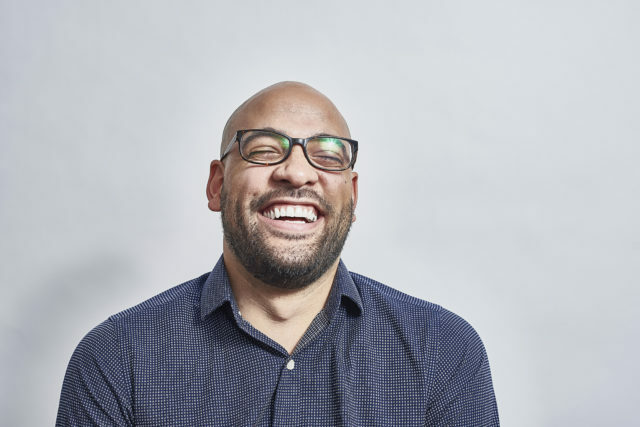 A studio portrait of a mixed race British male with stubble and glasses laughing with his head back. 1. Mind game pranks, like rearranging someone’s furniture and pretending nothing looks out of the ordinary. 2. Scare tactics, like putting a fake spider on a person’s chair. 3. Lying pranks, like telling your significant other you’re pregnant. 6. A “make things inaccessible” prank, like putting a stapler in Jell-O. 8. A “toilet humor” prank, like cellophane on a toilet seat or putting fake poop in someone’s coffee.